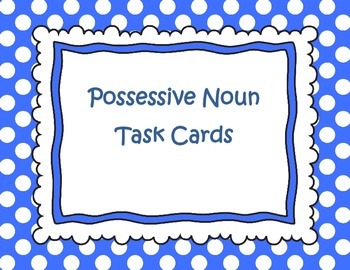 These possessive noun task cards can be used for practice. 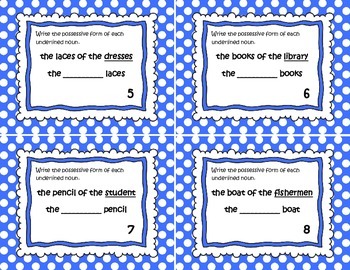 They make a perfect center activity, partner work, small group activity, or whole class scoot activity. 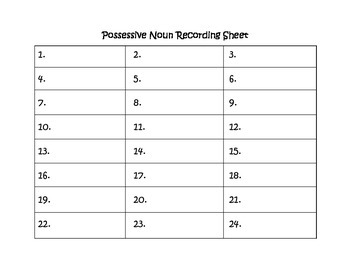 Students will be asked to figure out the possessive form of underlined words. A student answer sheet and an answer key is included. All of my products are free within the first 24 hours of posting. Follow me for new product notifications.